If you are looking for a stylish and modern back bar unit, then you need look no further than our white mirror back bar units. White in colour, these back bar units will perfectly complement almost any of our mobile bar set-ups, providing you with a great way to store and display spirits and other drinks behind your bar. It is important, after all, that your guests can see what drinks you have on offer, to enable your bar staff to provide an efficient service. 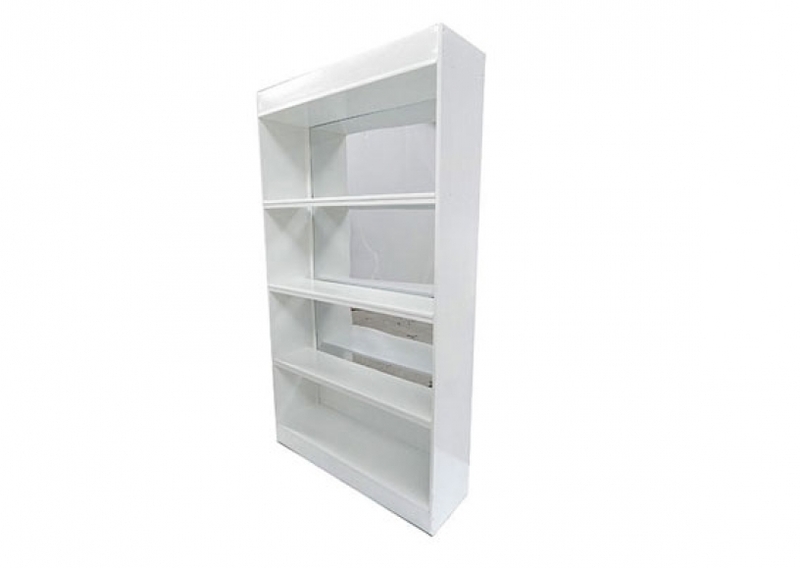 These white mirror bar back units are freestanding and have three internal shelves. These, combined with the base shelf, make a total of four shelves onto which you are able to place the products you want. The rear of the unit is mirrored, adding to the overall look and effect. You can hire back bar units of all different types here online at Event Hire UK. Marquee companies, event planners and organisers take advantage of our wide range of modular bars and back bar units to provide stunning temporary event bars which not only look great but which are perfectly geared to providing their guests with a fast and efficient service. From our nationwide network of sales and distribution centres, our teams can service most locations with the event equipment hire you need, and so why not get in contact today to discuss your requirements for you upcoming mobile bar hire event – we will be delighted to hear from you.